Jenifour Jones is madly in love with traveling. While living in a 13th century Dutch Castle in college, Jenifour traveled extensively throughout Europe. It was at this time that she knew travel was to be part of her destiny. 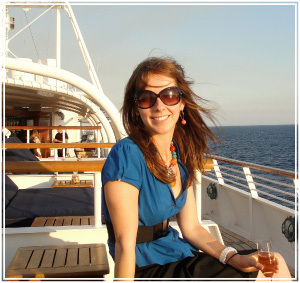 In 2004, she started her event company, Go Get It Events and after planning many international events, branched out to provide travel services for her clients, booking both corporate and leisure travel. Her clients praise her for both the amazing trips she plans and the unbelievable VIP attention they receive while traveling.To start planning your trip today, please contact us for a complimentary consultation. Our honeymoon was absolutely amazing! You did a fantastic job putting together a trip that helped create memories that will last us a lifetime. The Four Seasons treated us like royalty from the moment we arrived at the airport. Hands down the best trip either of us have ever been on! The honeymoon was AMAZING!! It was enjoyable, relaxing, fun, and was exactly what we wanted and needed! Thank you for insisting on the Hotel. They were exceptional. We had an amazing time in Cabo and One & Only was incredible! ! The service was the best I’ve ever had- they just think of EVERYTHING. It was the perfect place for our honeymoon. Thanks so much for recommending it to us! We just wanted to thank you for all of your help in planning our honeymoon. It was absolutely amazing! The Four Seasons was so gracious and rolled out the red carpet everywhere we went. It could not have been better! Thank you again for making our honeymoon so wonderful! Our honeymoon was simply AMAZING! I cannot even begin to tell you the unbelievable time we had. It was just perfect, and we are sooooooo thankful. The service was impeccable, food was fabulous, and our "bungalow" was great. Thank you so much for all of your help and planning. It was the experience of a lifetime.